Let me ask you, at this time of the year, are you at a place where you’re like, “My conversions just aren’t where I thought they could be” or your conversions aren’t where they should be? You feel like, “I’m having to sell too much.” What if there was a way that you could build a process to attract leads to you, almost more like having an influx of inbound leads and be able to convert those to your perfect clients, would that be of interest to you? Our guest expert is uniquely qualified to show and share with you exactly how to do that. He’s the Founder of The Sales Whisperer. In fact, some call him The Sales Whisperer. He makes inbound selling easy. Doesn’t it shift the game for you if you have those leads coming to you in an inbound format? 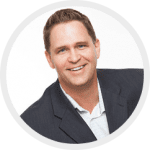 He’s helped over 2,400 of the world’s top speakers, experts, authors, coaches and sales professionals achieve amazing growth with the implementation of a proven system. I believe he’s going to be able to help you. He has also trained and worked with companies like Google, Dell and more with the number one software in CRM to help make managing your inbound flow process that much easier. His name is Wes Schaeffer. He’s a bestselling author, all kinds of credentials and a whole lot more. Wes, I want to dive right into it. What is selling to you? What is selling anyway? One of the biggest misunderstandings is selling has a bad reputation. 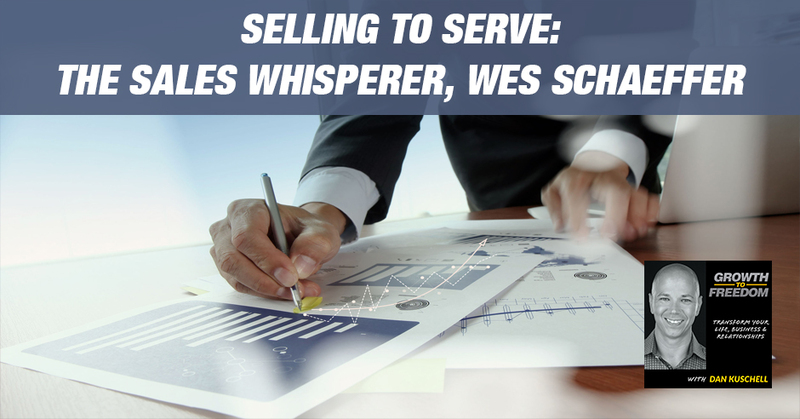 Some people scoff at it somehow, “I don’t like selling.” What in your mind is selling, Wes? It’s universal that selling is negative. I got back from speaking at a conference in Slovenia. I had a keynote session on the second day. I did a small break out. I probably had 60 to 70 people in the breakout. I was able to walk up to them and engage. I didn’t know this. I knew I did my homework, but I didn’t know it natively that Slovenian people are not very expressive. Tony Robbins might have a tough time there, “Stand up,” they don’t do that. I did ask them, “What is selling? Give me some adjectives.” This is universal. It’s always negative. People are like, “Insurance salesman, car salesman,” all these negative things. We become entrepreneurs or we do social media marketing, “I’m not selling.” Yes, you are. I did a screenshot of a post that I saw from a friend of mine and a friend of hers replied to it and said, “We have to start helping and serving more in sales.” I was like, “Hello.” The word sell comes from the Norwegian word that means to serve. We’ve bastardized it over the years. It’s probably America’s fault, a bunch of greedy capitalists, pushy salesmen hard closing. Selling has a negative connotation, but I have a simple four-part formula for sales. I tell people that I believe that selling is a calling. I believe that serving is its purpose. Questioning is the process. I don’t have the razzle-dazzle. You have to ask questions. You have to understand what you truly need and then a sale may be the solution. If you approach it that way, things get really easy and really profitable really fast. Selling is a calling, the purpose is serving, the process is questioning and a sale may be the solution. That’s a healthy robust definition that you can lean into. You’ve got over twenty-some years doing what you’re doing. I’m curious why are you doing what you are doing? What’s your purpose behind? Ultimately is to put food on the table for seven kids, a wife, my crazy dog and I like to eat as well. Beyond that, I left the Air Force in 1997. I had a cushy life laid out for me. I was an officer in the Air Force. We were living on base. Our house was provided. Utilities were provided. Healthcare was provided. I had every other Friday off. It was pretty chill. I live on the fourth hole of the Keesler Air Force Base golf course there in Biloxi, Mississippi. I wanted to be paid according to my production, not just time and grade. When my five-year commitment was up, I left. I jumped right into commission sales. I was money-motivated. I had various positions in retail and financial services. I got into high tech. I survived many downturns in the post-dot-com implosion. Overtime, I learned I was good at selling, I was good at marketing, I was good at teaching. I kept learning. I kept trying to get better because I was with a bunch of different companies that were struggling. I learned pretty soon that the management weren’t some wizards on the mountain. They had just been around a little longer and knew some different people longer than me and had some titles. They were in leadership roles, they just weren’t leading, which frustrated me. As I began learning and applying it myself, I realized I can make a living teaching people how to be better salespeople. In the process, I launched a business to teach selling, but then how do you grow that business. You can sell, but it’s better if you market and then sell. It helps you to sort, sift and separate. You are not having to sell everybody. Ideally, I want to talk to the people that want to talk to me. The sale becomes a foregone conclusion. That’s been the broad path since 1997 until now. You brought up marketing, in your mind, what is the definition of marketing? I always say selling and marketing are two sides of the same coin. Great marketing makes selling easy. Great selling makes great marketing possible. In my idea, marketing is selling in print. How are you getting someone’s attention? It was Ogilvy who said, “People don’t read an ad. They read what interests them and sometimes that’s an ad.” The number one sin of marketing is being boring. The number one purpose of marketing is to build a list. You’re looking for people that are looking for you. Marketing helps you put yourself out there. With digital marketing, you have the ability to segment. You can put your offer right in front of the people that are probably ideal, but you never know 100% for sure. Ultimately, you need to develop a powerful message and deliver it in a powerful way. The example I always use because people always are shocked when I tell them I have seven kids with the same wife. My wife, she nursed our babies. One time, it was early on, one of our first couple kids. She wanted one of those glider rockers. You’ve got the separate little ottoman, but that thing rocks as well. Using traditional marketing or what people are calling traditional now, they would probably never target me. They would never show an ad because they think it was just for women or for nursing mothers. If you deliver a powerful message in a powerful way, they would broaden it. Maybe the new grandmother would buy it for her daughter or daughter-in-law or the husband. What’s the message? Help a nursing mother, help your nursing wife be relaxed, be more at ease, soothe that colicky baby. Come up with these stronger messages. It’s a powerful message delivered in a powerful way. Maybe they only run ads to men for a glider rocker for nursing women. That’s knowing your prospect, knowing your ideal customer, entering the conversation going on in their mind and inserting yourself into that conversation so you become the foregone conclusion. I can’t help but ask, you’ve had over two decades of experience in helping and growing companies and helping clients and all that stuff. Can you think back what was your lowest time or the time you struggled the most? What’s the biggest failure you’ve had? What did you learn from that that ideally, our audience can learn from too? There’s a couple I could talk about. Right after I left the Air Force, I became a stockbroker. Six months later, I ended up in a lawsuit with them. I was unemployed for a couple of months. I was unemployed when my second son was born. It was hell. Running out of money, starting to wonder, “Am I crazy for leaving the Air Force?” I applied for a retail job selling mobile homes out of the classifieds in Mobile, Alabama because it paid $10 a week more than unemployment. It was like a $365 draw against commission per week. In my first twelve months, I made exactly $100,000. This was 1998, ’99. It’s worth about $145,000 now. In Mobile, Alabama, when your rent is $350 a month, that’s pretty good money. I realized that I could sell. I was working for a company called Oakwood Homes. They had a very good process. I learned the power of a process. I learned the power of disqualifying. I never understood how many people don’t pay their bills. I met all these people with horrible credit and it was a shock to me. It wasn’t my world. All of our trailers were locked. We couldn’t wander around because it’s a security thing. People would steal stuff, appliances, their TVs and these things, but also we want to get to know you. I want to sit in the cold air conditioning and see what’s up. See if you’re qualified before we go wander the lot for 30 minutes or an hour and I miss somebody who is qualified. I learned a process. I learned how to ask sensitive questions in a non-offensive way to get the answer because that was crucial. If you have bad credit then there’s no reason to even walk out on the lot. If you had champagne taste but Pabst Blue Ribbon budget, I wasn’t going to go show you the nicest thing on the lot because you couldn’t afford it. You’ll just waste our time. I had to learn all that and I did. It made me efficient. It made me learn how to control the sale, how to control the pace and how to plant seeds. Little things that would help me down the road in that transaction. We had a little flip chart back then. No laptops, no computers, just an old school pop out, a little A-frame would do the presentation. I asked them what was important. I took note, remember it and then we went out. That made all the difference. Speaking of making all the difference, you are now working with thousands of clients. You start to see some patterns and some things that pop up that are pretty common. What are some of the biggest mistakes that you see that most people make in trying to come up with an inbound process to generate leads and make sales? Ultimately, forgetting there’s a human being on the other end of the street. I spent two days at this conference out in Slovenia and it had a bunch of good speakers. This was marketing, this was branding, this was technology. That seemed to be a recurring theme. I don’t know if I’m happy or sad. I’m happy people are waking up. I’m sad that they have to be woken up. We’re losing sight of the fact that we sell to humans with all this technology, social media, bots, virtual assistants, artificial intelligence and on and on. To me, it feels very noisy right now. It feels very impersonal and cold. I’m on some various threads of people talking about how tough it was with email deliverability over Black Friday. People are overwhelmed. The consumers were overwhelmed. Remember, there’s a human there. I have a thing called process before login. It’s a free video and PDF on my website. I tell people I walk them through document your current or your ideal process and then we’ll go log in to some tools and test them against that to see if it meets their needs. Everybody goes technology shopping hungry. You go grocery shopping hungry, you are going to buy things you shouldn’t buy. They do in technology or they’re a ten-person company and a startup going against the behemoth, “They have SalesForce.com. We should get SalesForce.com because we’re going to be bigger than them.” Maybe you will be. Maybe this is a fifteen-year-old company that had Sales Force for ten years and they grew into it. Maybe they’re not even using it right. Maybe there are new tools out there that you can grow with instead of them. What’s your process? I tell out to the people, “What do you mean? How do you get leads? Are they referrals? Is it affiliate marketing? Do you do trade shows? Do you do webinars? Do you do cold calling? 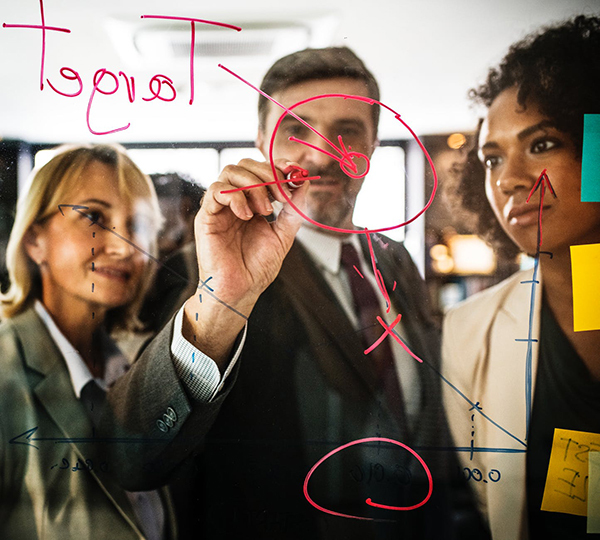 Do you do direct mail?” “We do all of the above.” “Each one is different.” “How much affiliate marketing do you do?” It’s 1% of our business.” “That’s a different answer than it’s half of our business.” There are different tools. It’s 1% but you want it to be half of your business. There’s another tool. The people never sit down and map this stuff out. They get a free trial for 30 days, 90 days. They log in to something, 90-day trial. They fast forward their calendar to Day 89 and they mark it, “Cancel the trial.” Like getting married, “Three years tops, I’m out of here.” How good is that wedding going to be? Have a process, remember there’s a human and I’d say slow your roll. Figure out how to make the sale with the minimum amount of technology instead of the maximum. The goal is not to see who can duct tape and chicken wire the most things together. The goal is to make more sales. Use technology like salt, a little seasoning. Once you put too much in, you can’t take it out. It’s ugly. It’s a mess so go slowly. It’s amazing what you can do when you really slow the roll and simplify the game and take things from say an online type environment to an online simple phone call. It speeds up trust. It speeds up respect and authority in many cases, not all cases. In a lot of cases, to make the game more profitable. At the end of the day, what’s the main outcome that you’re looking for? Many times technology, if you put too much salt on it, it’s getting in the way of the potential sale. I’m sure you see this a lot. What can you do to simplify the game, to slow the game down, minimize technology, to maximize your sales? You’ve worked with a lot of clients. Things change now faster than ever. You brought up AI a little bit and the necessity to tune in on the fact that we’re dealing with human beings. What would you say not only with maybe what you’re doing currently or the thousands of clients you’ve gotten a chance to learn from and working with them and helping them? What would be one to three big breakthroughs that our audience could look to put in place starting right away to take their business to that next level? Big breakthroughs and documenting things. When I meet with clients, we put it on a whiteboard and take a picture of it or ideally, we’ll get those big 3M sheets and write this stuff out. It’s got to be staring you in the face. Especially now, the simpler the better. People run around like, “How are you doing?” “I’m busy.” “Good for you. Keep hustling, keep grinding.” It’s like, “No.” You need more time with your feet on the desk. If we dial that back even more, in my Make Every Sale Program, one of the first things I have people do is a couple of simple things. One is track your time in fifteen-minute increments for a month with a piece of paper. 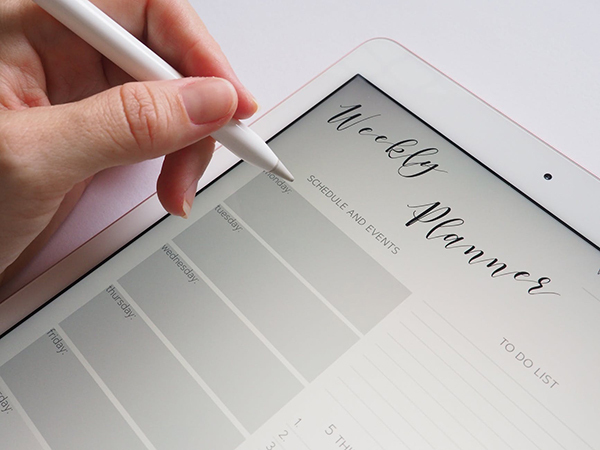 Take your calendar, print it out, one-week Google calendar and keep it in front of you. I don’t mean you wake up at night every fifteen minutes. Obviously, if you’re sleeping from 10:00 PM to 6:00 AM, you just draw a line, sleep. If you go to the gym for an hour, you draw a line and put gym. When you’re tracking, you get more efficient with your time. There are tools, Rescue Time and these other things and it helps me. Once people get in the habit of understanding how important time is, I take them and sometimes we have to go way out weeks or even months out ahead. I’m like, “Open up your calendar and put in some personal things.” My calendar now, I do Brazilian jujitsu six days a week and it takes two hours. It’s all my schedule. We got Sunday morning at 11:00. I do Monday night. I do Tuesday noon. I put my life into my calendar first and then when I send a client or prospect my calendar, they have to pick inside my life. They got to schedule around my life. What we usually do is have this blank calendar, “I’m here for you. You call me anytime. I’m a super service person,” but you don’t have a life, “I’m doing it for you.” You’ve been doing it for ten years. You haven’t been to dinner one time. You’ve missed every single play, every single game. You’re doing it for you and you’re doing it wrong. Schedule your life first and squeeze work in. Don’t do it the other way around. I get yelled at. My buddies pound me even harder when I’m late to jujitsu. I get off of Facebook and I’m like, “I’ve got to finish this thing. I’ve got to finish this interview. I’ve got to do this blog post. I’ve got to get this proposal done by 11:40 so I’m out the door and at the gym on time.” You become more efficient when you become more aware of your time. You naturally act better. You conduct yourself better. Zig Ziglar always had a great story. He said, “How much work do you get done on the day before vacation?” You get a lot more done. Why is that? Because you know that tomorrow morning, you’re on an airplane. Why is that day any better than any other day? You’re more focused. You have a deadline so you’re more focused. We have a tendency many times as entrepreneurs, the innovator, the creator, the builder to shoehorn our life or make it like leftovers. If you think about dinner, we give ourselves the leftovers instead of what you’re saying is making it a priority and then having your business around it. That’s such a healthy way. I know one of the biggest shifts I made after my health crisis was that. It’s putting that plan in place and making sure your personal and your family life more of a priority. Making your spouse more of a priority than the business side of things. It works a lot better to be able to do that. As you’re reading, you start to get a glimpse at a glance at the wisdom that Wes has. I wish we could spend hours and hours together because you have so many great stories and so many great experiences. If somebody wants to go deeper with what you’re doing with your company, The Sales Whisperer and how you can help them. Where can they go to learn more about you and what you’re up to? I’m an open book. Everything is at TheSalesWhisperer.com. You can find me on social media. The Contact Us comes to me. My number is there. If I’m not expecting your call, I probably won’t answer. Although, I do answer my own phone two to three times a day. I will get the message and I will call you back as long as you’re a decent human being. Everything is there. The links to my page social media and the Contact Us is the best way to reach me. I want you to encourage you to go check out what Wes is doing. What is something I should have asked you that I didn’t? Schedule your life first and squeeze work in. Don’t do it the other way around. Sales is so intricate. I’ll keep this focus on salespeople instead of sales managers. A salesperson’s number one job, believe it or not, is not to close the sale. Your number one job is to prospect. I can’t control if somebody buys from me unless I have a gun. I can’t force them to give me their money, but I can force myself to be disciplined. I can force myself to get to work early, to have a good list, to have a good script, to understand the technology at my fingertips and use it to its fullest. To understand how to negotiate, how to set appointments and how to predict and defuse tough objections before they even come up. If you are doing the right thing, the sale is a lagging indicator. Me making phone calls, sending emails, attending networking functions, trade shows, webinars. Those are leading indicators. Control what you can and the sales will come. What’s the biggest mistake you think people make when they hire salespeople or try to hire salespeople? They don’t know how to hire. I’ve got a program called No More Sales Duds. That is a very simple program. That’s why I created The Sales Whisperer. I was literally watching The Dog Whisperer and he said that he trains the owners and rehabilitates the dogs. I’m like, “I do that. I train sales managers and rehabilitate salespeople who have been abused by sales managers.” A typical sales manager is plucked from the sales team. They were the top performer. Now, those attributes that made them a great salesperson make them pretty bad managers. They’re aggressive. They’re independent. They are lone wolves. They’re beating up their people. They don’t know how to hire. They don’t know how to recruit. They don’t know how to screen. They don’t know how to onboard, don’t know how to motivate. That becomes a big issue. A sales manager’s number one job is to recruit. I’m a big college football fan and especially players in college sports but in the pros as well. In college, they only have an athlete in football at most five years. With all the big money now, they’re keeping them four including a redshirt year, maybe three. My kids are so good now, they’re playing as true freshmen. Kids are going pro in three years. They know every three to five years, every one of their kids is going to be going. You see somebody like Nick Saban. He was at my beloved LSU Tigers and he left. I hate him forever, but he’s probably the greatest football coach to ever live. He continues to put the team at number one even though there’s turnover. McDonald’s has something like a 300% turnover in their staff. You wouldn’t know it because they keep growing. They know their number one job is to recruit. Recruit as a sales manager, then you’ll learn to identify talent. You’ll learn how to onboard them. You won’t feel a victim or a hostage to the underperformers. You won’t be paralyzed when the top person leaves because your top people are always the ones to leave. They get recruited away or they go start their own thing. Then you’re left with the duds. Learn how to recruit. You’ve been married for twenty-some years. You’ve got seven kids. If you were going to turn to your wife and thank her for the support that she’s provided you and how she has shown up to allow you to be you, you’ve had this amazing journey from Air Force to humble beginnings and answering ads for $350 a week, to now having a major influence in the market around the world. What would you thank your wife for on how she has shown up for you? She always has, even in the darkest times, she’s like, “We’ll get through this.” She didn’t complain. She can stretch a penny into copper wire. She’d pinch it so hard. Even to this day. She brings me lunch in my office because I was banging out a bunch of things. Even though we homeschool, she keeps it going. She does the bookkeeping. We have a bookkeeper, but she reviews everything. She pays the bills. She sends all the new client welcome kits for me, this nice little flowery thing with a ribbon. Stuff that I would never ever do in one million years. She does it all. Maybe a lot. I was top four of my class. I was the quarterback, Student Council. A little bit of everything. You can be a decent human being and still make a lot of money and be in control of your own destiny. 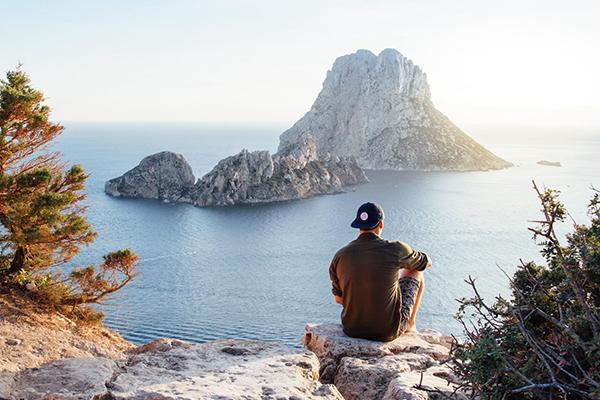 When do you recall having that impulse or that feeling like, “I’m going to go change the world? I’m going to go have an impact in the world my way and be able to build my own thing.” When did that strike you? Can you remember back? Giving people an alternative, an option on how to live, how to grow and how to define success. We’ve misdefined success. You see all the Rolls Royce pulled up to the jet. They’re either in some $5,000 suit or they’re in $12 of clothing. Some flip-flops and shaggy shorts and backward baseball caps. It’s like, “How nice can I look or how bad can I look?” I’m like, “Is that success?” Maybe staying married and raising a family success. I don’t know, maybe. I give them an option. What are one to three action steps you hope our readers take as a result of our time together? Don’t listen to this, go do something, whether it tracks your own time at fifteen-minute increments for a month. Go do that. Take a moment to step back and write down your own processes. That’s important. Looking ahead and blocking out your time. Here’s the problem though. It’s hard to do alone. I used to feel like I’m pitchy. I wouldn’t do a call to action. I love to entertain. I love to educate. If I did it knowing that at the end I’d ask them to buy something, I felt like, “That’s cheesy. That’s manipulative I was setting them up. I had ulterior motives.” I learned from Zig Ziglar as well, “Just listening isn’t enough. You may be inspired for 45 minutes, but will your life be enhanced?” He said you have to buy your stuff and listen to it over and over again until you could finish the sentences. Find yourself a mentor. Find yourself some type of coaching program, Mastermind, private coaching, whatever you can afford or whatever makes sense, at your stage of the game right now. That’s what changed my life. A friend of mine, we’re still friends to this day, I bought a twelve-week course from him. It was twelve live calls in 2006. I had to prepay for it in late ’05, a PDF. No Facebook, no Zoom video. It changed my life by having someone that I respected walk me through. Every week I was on those calls. It’s so hard to do it alone because you don’t know what you don’t know. No, I’ve known Joel for a couple of years. The guy’s name is Steve Clark out in Florida and we’re still friends. I found him through Roy Williams that owns the Wizard Academy. I’m still friends with him and I go to his stuff once or twice a year. I’m still learning. Invest more than you probably think you should in yourself. Understand as well that you probably don’t need that $25,000 or $50,000 platinum mastermind group. Ask them if they have a more affordable package. Once you’re making high six figures or seven figures, go ahead get the $50,000 or $100,000 coaching program because you can afford it. There is no magic in those programs. The magic is in the accountability. It’s somebody meeting you where you are. It doesn’t mean they are where you are. An unemployed person never gave me a job. They had to be above you in some skill not as a human being, but they know more than you in an area so that they have to meet you where you are to bring you along. Figure out where your shortcomings are and find someone to help you fix those. If you want someone to help you fix those especially as it relates to sales, generating inbound process, creating more opportunities, enrolling more people, I want to encourage you to go check out what Wes is up to at his website. Wes, I want to say thanks for being with us. It’s been a pleasure. I look forward to us seeing how we can help each other even more down the road. I do as well. Thanks for having me. I want to encourage you to take action with what Wes has been sharing with you. Selling is universal. The fact is don’t let limiting beliefs hold you back. The number one thing is to look at building your list, what is marketing, what is selling, don’t be boring. It doesn’t matter where you come from. It matters where you want to go. In selling, do what you can control. Drive prospecting, if you’re hiring, be recruiting all the time. Track your time, step back, write out your process. Block off your time. It’s hard to do it alone. Find someone who can help you get what you want. Find someone who has what you want, do what they do. You can get what they’ve got. Go check out what Wes is up to at TheSalesWhisperer.com. Thanks for being with us. We’ll see you next time on GrowthToFreedom.com. 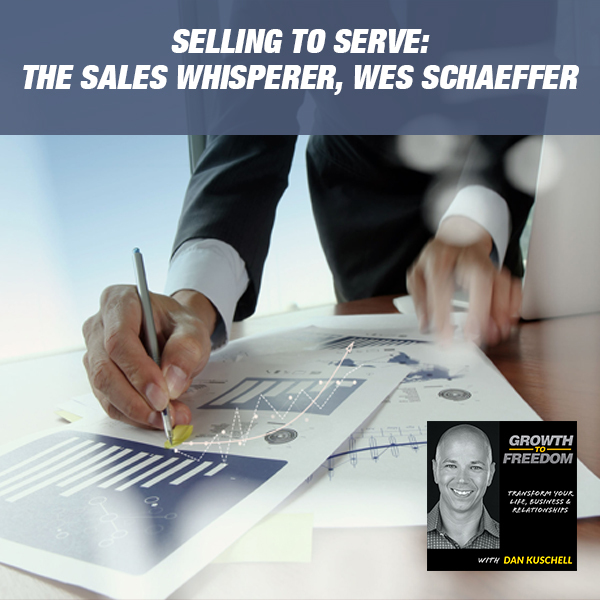 Wes is The Sales Whisperer®, an obsessively pragmatic entrepreneur, sales trainer, copywriter, and speaker who believes marketing is just selling in print. He is the author of three books on sales, marketing, and entrepreneurship and has helped 2,400 of the world’s top speakers, authors, coaches, and sales professionals achieve nearly miraculous growth by implementing his repeatable, transferable, and proven processes. He has called SoCal home for 14 years with his wife of 23 years and their 7 children and their second crazy American Lab.